– Fans are attracted by him talking and acting like a bad guy. Red Bull: Bonchan said you were "like a junior" in an interview. How do you feel about him? 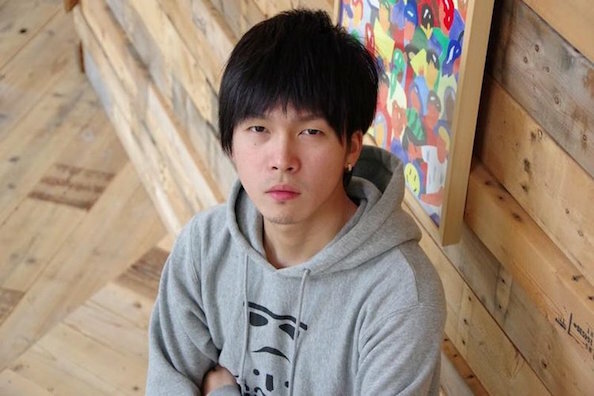 Gachikun: In SFIV days, I learnt from Mago-san's Sagat, which was the strongest at that time. Mago-san stopped using Sagat when SSFIV was released, and Bon-san came out to the top of the Sagat players. After that, I used to learn from videos where Bon-san played, ask him a lot of thing in person and so on. He was an icon because he was the top of the top Sagat players. Red Bull: Could you please tell me about your impression of Bonchan after fighting him? Gachikun: He knew what I didn't want him to do very well as he used the same character. Red Bull: Were you helpless and powerless at first? Gachikun: Not only at first. I had more losses than winnings against him around the end. Even when I had more winnings than losses, the next time he had more winnings than losses with a counter strategy. Then he was ahead of me again. Red Bull: You were one step short of beating Bonchan in SFV at Red Bull 5G last year. Red Bull: Did you feel Bonchan was clutch? Gachikun: I realized he had much more experience than I had. Bon-san had more experience of big stages, so I can't match him in terms of being clutch. Red Bull: You were streatching a lead over him as your strategy worked well. Gachikun: At Red Bull 5G, We had peculiar regulations, two on two and first-to-three, I fought Bon-san three times in total. I think I had momentum throughout all the matches. But I was so eager to win that I lost composure after reaching the game point. Red Bull: You mean you should've not made haste. Gachikun: Maybe he noticed it, and he played calmly and carefully, and I lost at the very last minute. It was like that. I'm not clutch like him. Red Bull: What do you think makes him clutch? Gachikun: I think the abnormal amount of everyday practice does. I also feel he thinks fast. It's not only for Bon-san, but also for Ume-san, Tokido-san and Nemo-san. His career is so long and his strategies are first-class. That's what I lack, so I'll learn from him in Tokyo from now. Red Bull: Do you have anything you want to learn from him, or he has and you lack? Gachikun: Bon-san is magnetic. That's maybe because of his way of living, and I want to be like that. Red Bull: What do you mean with Bonchan's way of living? Gachikun: Aside from his playing style, his fans are also attracted by him sometimes talking and acting like a bad guy on streams. Nevertheless, he gets good results and projects the image that "he wins although he has a sharp tongue." Red Bull: His beloved character was fully brought out at Bonchan's Road Trip(†). † A series of offline events held in seven cities from March to November in 2017. Fans and players can meet and play Bonchan there. It will also be held in 2018. Gachikun: I really hope to emulate his energy, with which he visits cities all around the country to increase the number of fighting game players. I think I, too, should make actions to increase player numbers in Hiroshima, but it eventually comes to offline matches(††). Bon-san says his opinions straightforwardly, paying attention to those around him at a time. So I think he's great for sure. †† I know this sentence won't make sense, but I'm not sure what the original sentence means because it's too ambiguous. So I translated it literally. Red Bull: You mean he talks the talk and walks the walk. Gachikun: Yes. He quit smoking. I think it requires substantially strong determination, so I expected he wouldn't be able to quit smoking, to be honest. And I also feel he takes great responsibility for what he'a said, as seeing him successful in his diet as well. Red Bull: Now you mentioned quitting smoking and his diet. Are there any other stuffs about his ways to keep physically and mentally healthy that you were surprised at? Gachikun: I knew he went to an oxygen capsule salon by his tweet. He told he went there to make his condition stable, as he went abroad once a week and his condition would be unstable. I remember being surprised at it, thinking it was such a disciplined world. Red Bull: That shows how busy pro gamers are. Could you please tell me other surprising aspects of him, if any? Gachikun: His face turns red quick from drinking haha. But you don't have to be worried because he's not a bad drunk.